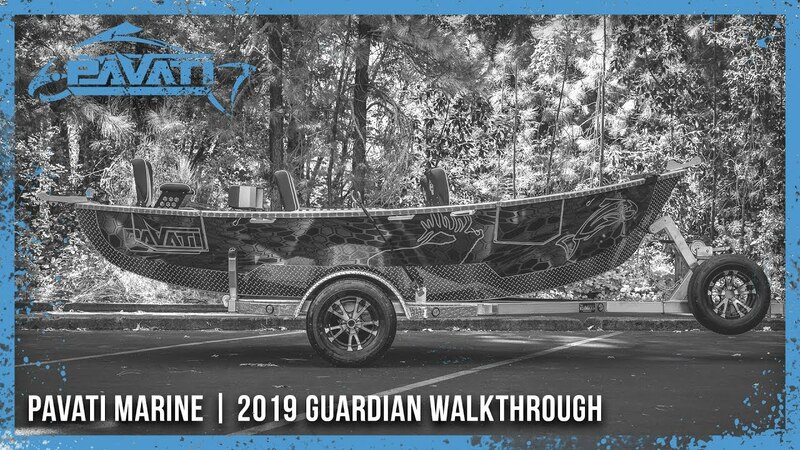 The Guardian™ still remains Pavati Marine's #1 selling drift boat. Each model comes standard with all of Pavati Marine's signature features, such as Drifter Doors™, True Level floors that are 100% removable for easy cleaning and much more! From there you can customize any size of your Guardian™ with Pavati Marine's endless list of optional upgrades and accessories. The Guardian™ still remains Pavati Marine's #1 selling drift boat. Each model comes standard with all of Pavati Marine's signature features such as Drifter Doors™, true level floors that are 100% removable for easy cleaning and much more! From there you can customize any size of your Guardian™ with Pavati Marine's endless list of optional upgrades and accessories.